I wanted to make a Valentine’s snack to bring to the moms at my MOPS table and I noticed I had these heart shaped marshmallows in the pantry. 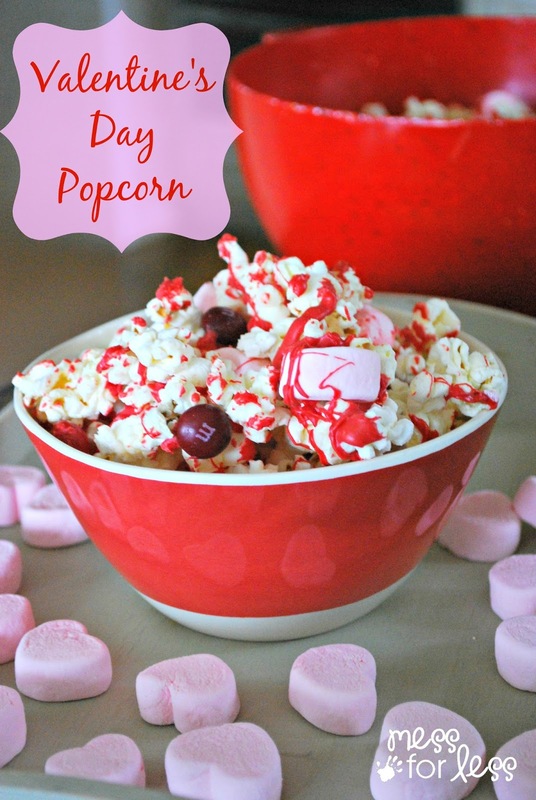 A simple addition of chocolate chips and sprinkles make this a fun treat to bag up and give out this Valentine’s Day. I mean can you go wrong with chocolate and marshmallows? These Chocolate Drizzled Marshmallow Hearts couldn’t be easier to make. If you want to make something more substantial, try these Valentine Swirl Cupcakes. I used 45 heart marshmallows and 2 oz of chocolate chips. Melt the chocolate chips in the microwave in a microwave safe cup or bowl, stirring until they are completely melted. Lay the marshmallows out on a cookie sheet. I used silpat on top of the cookie sheet so I wouldn’t have such a mess to clean up after I drizzled the chocolate. Scoop a small amount of the melted chocolate on a spoon and drizzle it over the marshmallow hearts. While the chocolate is still melted, add the sprinkles. You can really use any kind of sprinkles you have. I stuck with red to keep with the Valentine’s Day spirit. Leave out until the chocolate hardens. This took about an hour. Because I had the marshmallows on a cookie sheet I was able to move them out of the way until the chocolate hardened. Wow, it looks so amazing, can i prepare these for my kids who are 3 and 5 years old ?